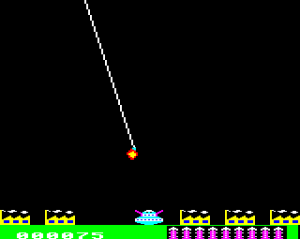 Dave Moore from Retro Software has recently informed us of a long lost BBC micro conversion of Cruise Attack by Mikro Gen being found safe and well. That makes this a rather unique item – an in-house “master” tape that was (I’m guessing) used for duplication purposes when they had to run off another batch of games to sell. There is no inlay for this item. 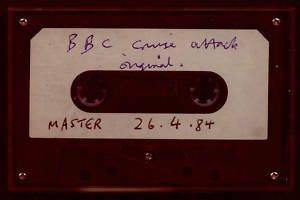 The tape is labelled on one side as “BBC Cruise Attack original MASTER 26.4.84”; there is no label on theother side. The spine of the case reads “BBC Cruise Attack”. It is interesting that this tape is labelled both “original” and “master”. None of the other MASTER tapes that I have use the word “original”. So, here is the chance to own a BBC curiosity salvaged from the ashes of Mikro-Gen. As ever, I can’t tell if this tape will still load since I don’t have a BBC. All I can tell you is that the Spectrum masters that came in the same batch all worked perfectly. Luckily everything did work perfectly, and the game is in the process of being made available. Dave has said that once the tape has been converted over to a disk image, hell pass a copy – which hopefully we can make available here. 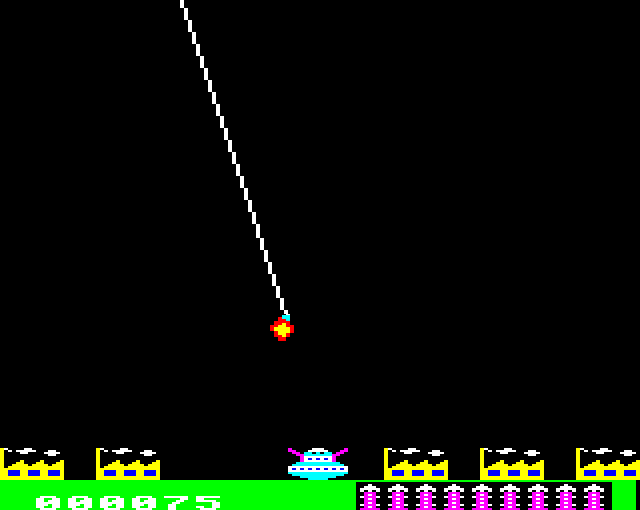 This entry was posted in BBC Micro, Reviews and tagged BBC Micro, Review. Bookmark the permalink. Wow! A proper GTW if ever there was one. Amazing. Gutted to think of all the rest of it getting crushed in a skip though.